The median price for West Palm Beach is $240.33. So take a minute and guess out of 20 cities that we evaluated, where do you think West Palm Beach fell in the list? Out of 20 areas evaluated, there were only 4 countries that had less of a median price per square ft. So we were 16 in the list. Can you believe it? So what is the most expensive of the 20 areas? Hong Kong earned the honor with having $2,853.34 median price per sq ft. That is crazy. So what would cost us $288,396 in West Palm Beach would cost $3,424,008 in Hong Kong. Now that is sticker shock. London was #2 on the list for most expensive at $1,838.60 median price per sq ft.
New York (Manhatten) earned the honor of #3 at $1,321,67. Our neighbors to the north in Toronto are #7 at $618.77. So many sellers in Toronto have a lot of equity and it is the perfect time for them to invest in our more affordable housing market. 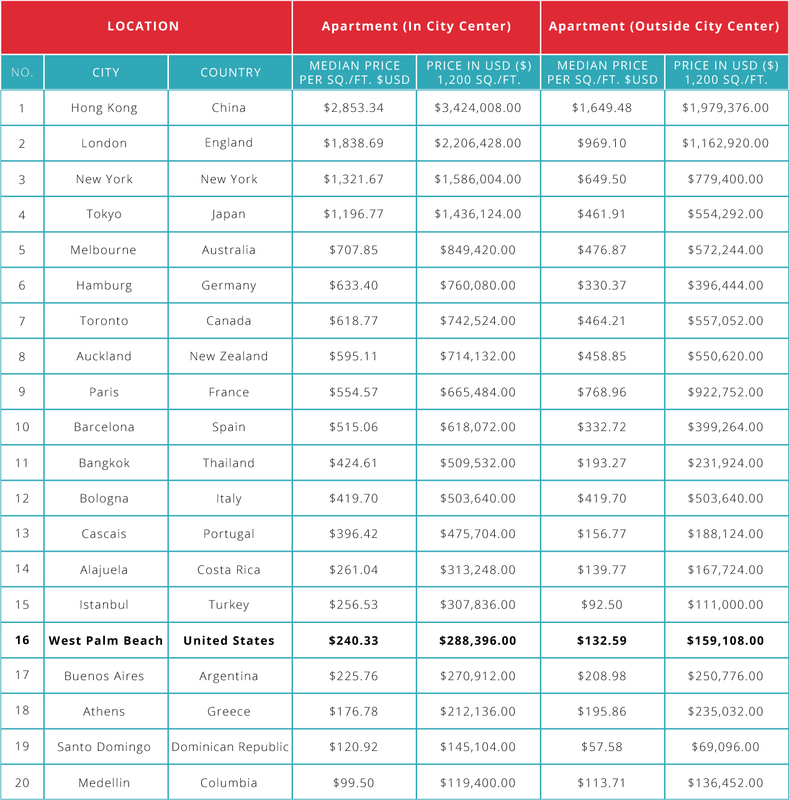 Even Bangkok was more expensive than West Palm Beach at $424.61 median price per sq ft. 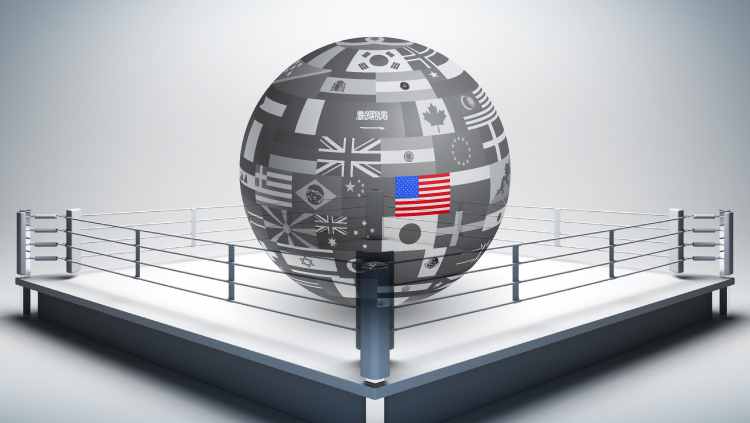 The numbers show us why real estate in Palm Beach is so popular for our international buyers. We have great weather, amazing amenities and outstanding values. I have the full list for you attached too.